​To accommodate the needs of the township, we completely changed the existing building by doubling the size and creating a new façade. All construction was completed without interrupting the flow of workers’ activities and services to the public. 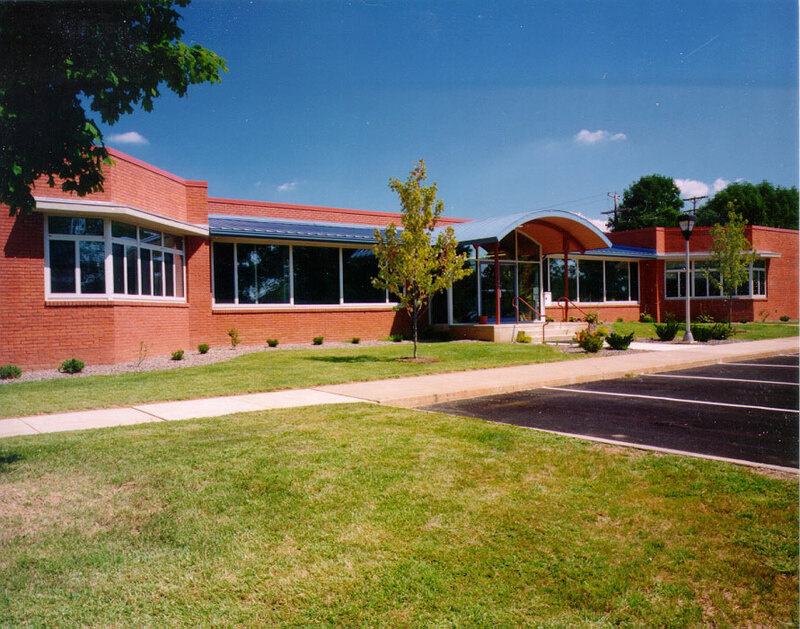 This was accomplished through a comprehensive pre-construction plan developed by our staff. 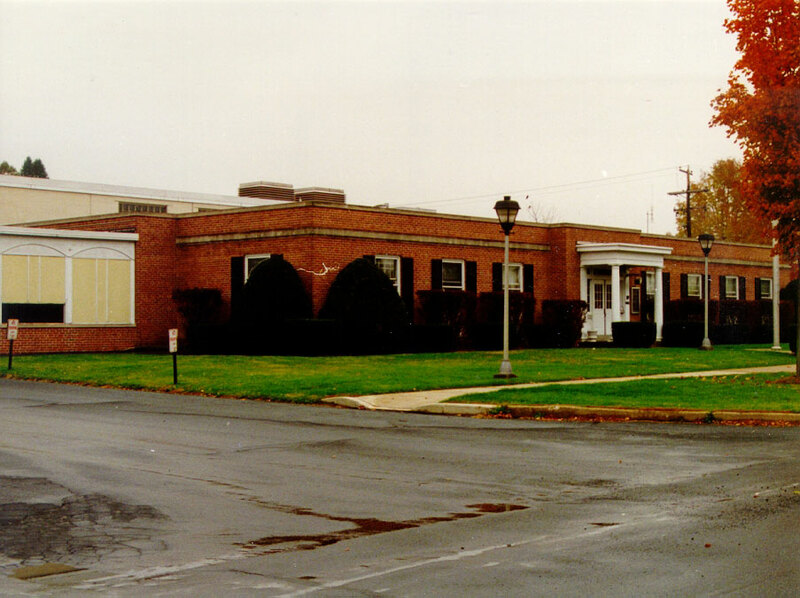 This is what the building looked like prior to our renovation. The appearance was one of dated neglect and disrepair. The new main entrance and lobby are a dramatic improvement. The curved structural roof deck at the entry extends from outside to the inside, bringing a fresh and modern look that is welcoming and cheerful. 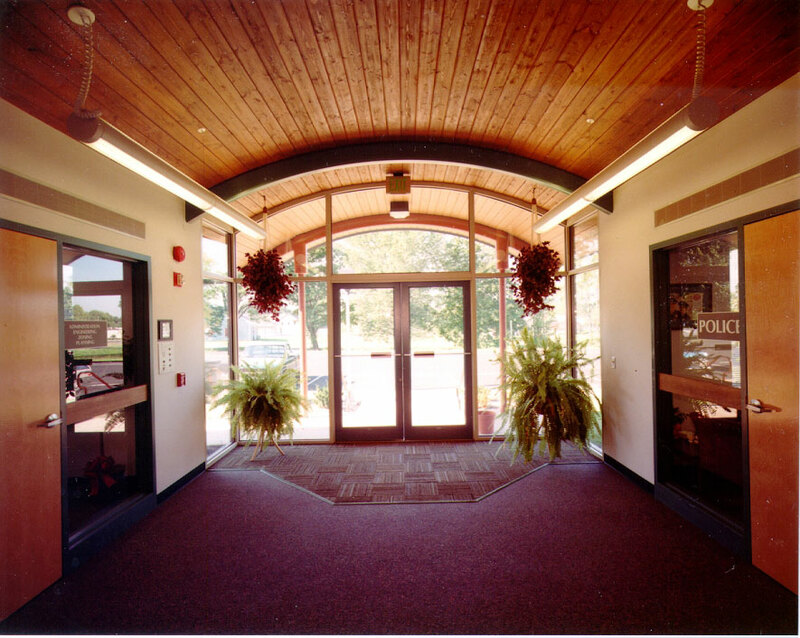 Natural woods are used throughout the interior including the doors, trim and feature accents. Large expanses of glass in the main entrance, interior doors, and windows, instill a feeling of openness and add natural light that’s enhanced by tubular light fixtures. The new police squad room is a spacious open design that provides semi-private workstations and conference/meeting facilities within the same area. 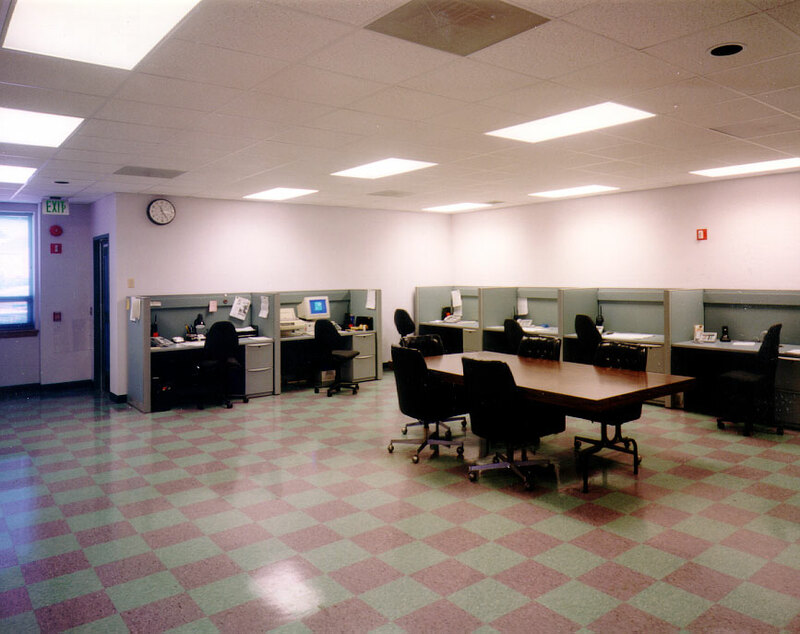 The openness of the room makes it easy to expand and add more workstations to meet future growth needs. The soft-toned checkerboard floor design adds some color relief to the area without overwhelming the ambiance of the room.